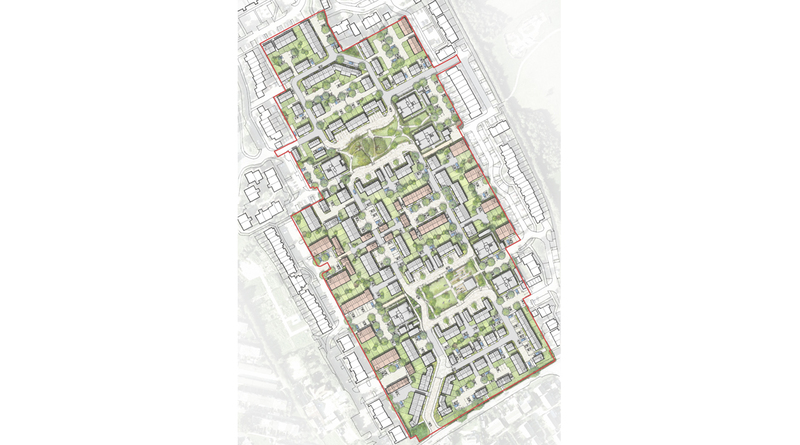 The Priority Estates Programme was established in 2007 by Harlow Council, to improve the quality of the housing estates and the surrounding built environment and open spaces. The Briars (BAC) is the first successful scheme to achieve viability under this programme. The 363 new homes replace 218 prefab bungalows built in the 1950s, to deal with the housing crisis at the end of WWII. These bungalows were no longer fit for purpose – now being beyond economic repair. They also suffered from being inward looking, which prevented a sense of community or good security. 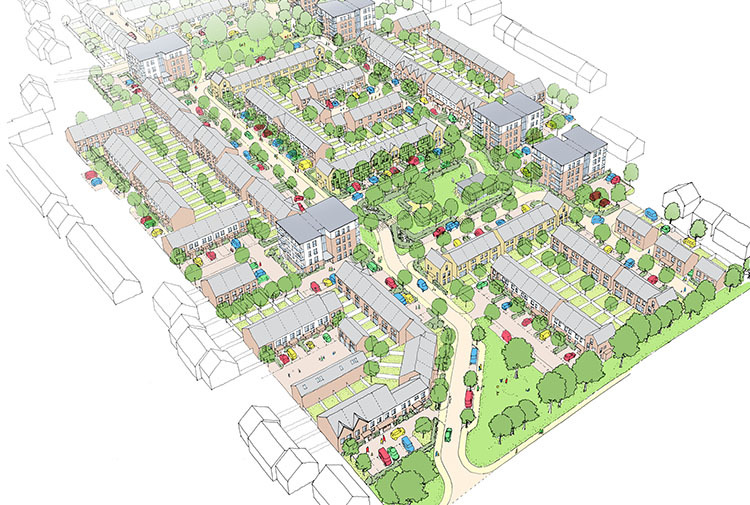 The masterplan offers a range of contemporary homes, to suit a range of lifestyles and built to high standards of sustainability making them cost-effective to run and environmentally responsible. The majority of the new homes are proposed to be traditional two storey houses with private gardens, whilst each apartment will have its own private outdoor balcony. 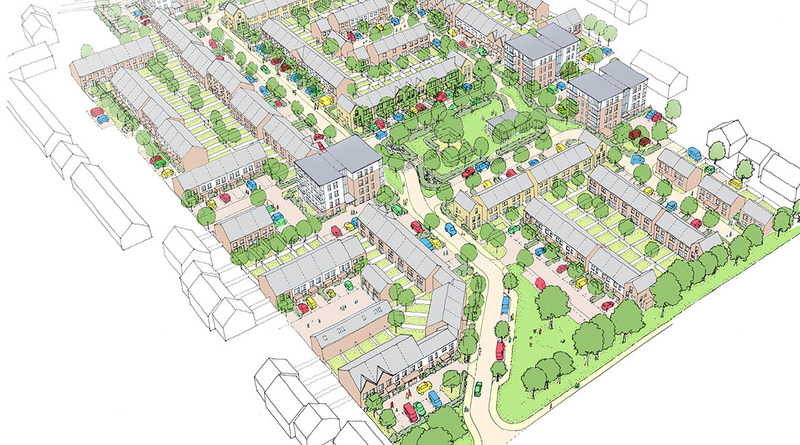 The new housing typologies increase the density and ensures a more efficient use of land. The community selected the preferred design and delivery team, following a series of exhibitions and presentations, and chose to live in a network of traditional streets and squares. 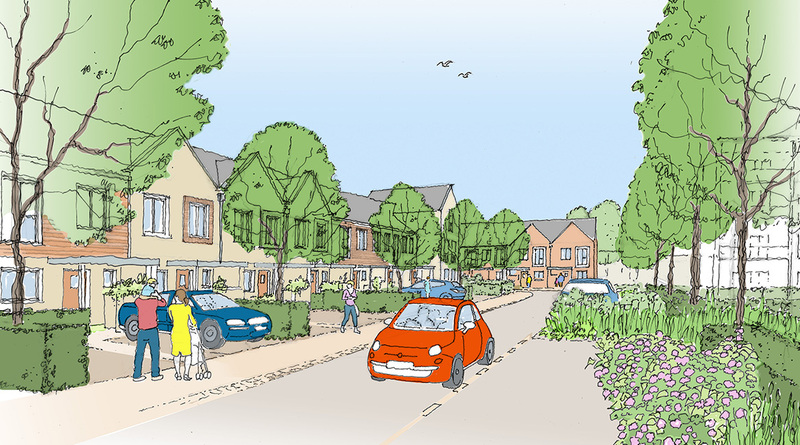 The proposed streets and homes have been designed to be integrated with the landscape of the site. The open spaces of the scheme give this neighbourhood a clear identity. Two Garden Squares, richly planted spaces are linked by green, leafy streets.